After knowing others have had the strength to share about what had happened to them, helped me to do the same. Women with a Past Abortion Loss can Celebrate Mother’s Day? Is Mother's Day a Bad Time to Talk About Abortion? Rachel’s Vineyard is a unique and very effective healing process that enables the participants to safely access their complex and often toxic feelings about their role in the abortion and feeling powerless and exploited by the experience. Women and men journey through this painful material as they bond with the other retreat participants and the leadership team. They find a safe, spiritually positive healing environment, loving support, and people who intimately understand their loss and stories. For the first time they are able to work through the pain, as they travel to what is at the heart of their healing journey – re discovering and re-claiming their connection as a mother or father to their unborn child. 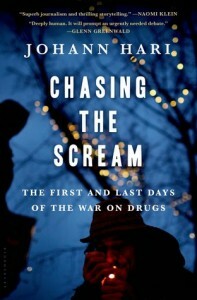 Johann Hari’s book offers examples of policies and programs that get better results. This is an important contribution to the addictions field and certainly helps us better understand the relationship of complicated mourning and isolation after abortion loss - and substance abuse. This doesn’t mean the author offers all the answers and solves every complicated problem associate with addiction. But it is well worth reading with an open heart and mind. This is a national and international issue that is vital to our national security and the health and the welfare of our communities, families and to so many wounded people struggling to recover from the challenges of addiction and violence.